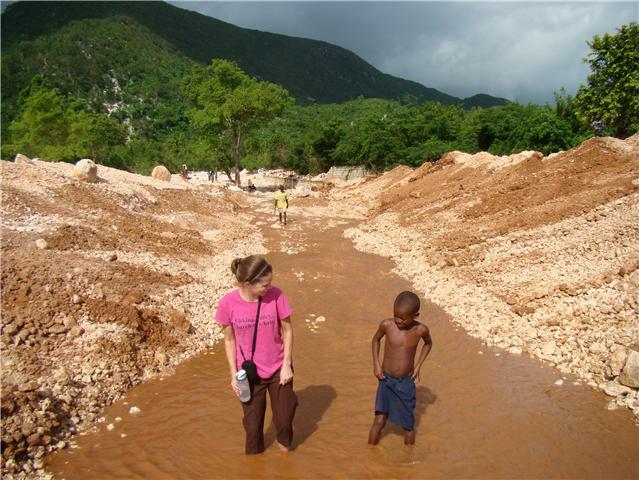 Ginny in Haiti: Drama on the mission field? Say What? There is drama on the mission field too. You would think that once you leave the states and go to a third world country that the drama factor would be significantly reduced...right? I remember one job I had back in the states I worked with a group of mostly women and there was so much cattiness and drama that it became normal to come into work and ask what went on during the shift you had off. It almost seemed like I was working in a Soap Opera. It was ridiculous. I took another position at that same pace of employment and when I would see my former co-workers they would start right up bringing me up to date on the current drama. And the sad part is that I listened. And asked for further "dirt" and drama on some subjects. So I am asking for prayer this week as sadly there is drama here too. Between Americans. Who came here to be an example to others. Who came here to serve. Who came here in obedience. We can't stop those trying to pull us into their drama. But we can chose not to go there. We can chose to be silent when others are being loud about us. We can look to the One above who went through lots of drama for us so we can be free of it. Brothers and sisters, I ask you to look out for those who cause people to be against each other and who upset other people's faith. They are against the true teaching you learned, so stay away from them. Did you see what the last words said? "So stay away from them." Stay away. Paul does not say respond to the person. He does not say go around talking to other people about it. He says to stay away from those types of people. Today I ask you to be in prayer for my mouth to stay closed, my heart to be guarded and for the Lord to direct my actions according to His plan.